Call it a backlash to the big-box breweries that have long dominated the domestic beer scene, but these days, more small-scale breweries than ever before are firing up fermenters, delivering their own interpretations of craft beer. Of the thousands or recent openings, which ones stand out from the pack? Here are a few we’re keeping an eye on. A lot can happen in a short amount of time. Just ask the team behind the Arizona Wilderness Brewing Co. With construction delayed and bankruptcy looming, it seemed this brewery was doomed from the get-go. But the title of Rate Beer’s best new brewery helped change that. In its first year since opening in September 2013, the brewery has more than doubled its staff and continues to produce one creative brew after another (60+ and counting). Looking local for inspiration and ingredients, beers like the sharp and tangy Berliner Weisse calls on Sonoran white wheat, while the Saguaro Fruit Sour Wheat is flavored with the jewel-toned, fleshy fruit of the towering cactus found studding the desert landscape before resting in wine barrels prior to its trip to the tap. The opening lineup from the highly anticipated Barley Forge Brewing is a work of art inside the bottle and out, thanks to solid recipes and the colorful label illustrations inked by cocktail illustrator and author Dave Stolte. Expect hop-laden West Coast-style brews, but with innovative twists—the wit is spiked with horchata-style spices (think cinnamon, vanilla and even lactose), while the subtly smoky amber ale is brewed with agave extract. 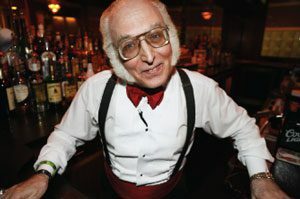 As a certified cicerone and beer director for the Neighborhood Restaurant Group (which runs the beer-fueled hotspots Birch & Barley and Churchkey) Imbibe 75 alum Greg Engert has helped turn DC into one of the country’s top capitols for craft beer. So when it was announced Engert would help head up the group’s massive new brewery, we took note. 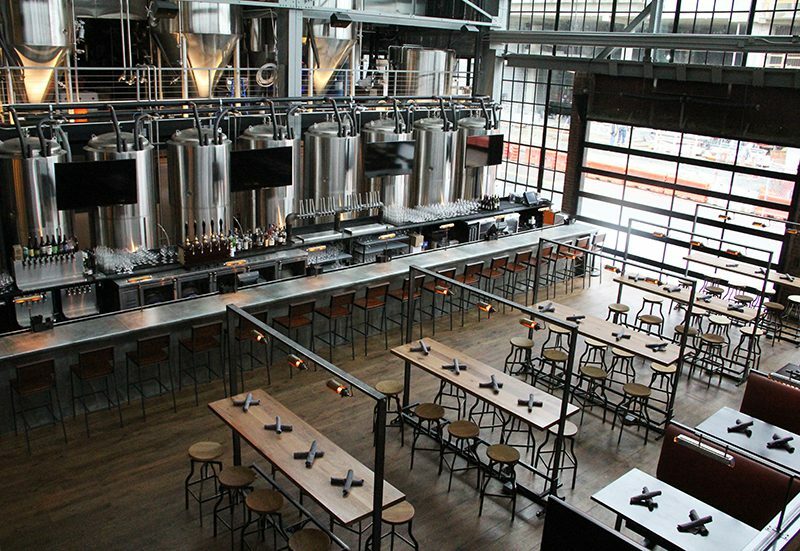 Since opening October 2013, Bluejacket (named for the term used for Navy enlistees—apropros considering the brewery’s waterfront locale) has kept the tanks at capacity, with the two dozen taps pouring everything from single-hop pale ales to brettanomyces-spiked spiced Belgian-style brews to a rich and creamy cacao nib imperial stout on cask. And with a bottling line now up and running, hopefully more of the brews will make their way beyond the brewery walls. When it comes to beer, San Diego is on a hot streak. And one of the most recent additions to the city’s suds scene, Modern Times, comes with a serious brewery pedigree that includes alums from Stone, Ballast Point and Lost Coast. Between the brewery’s two tasting rooms (its Point Loma locale features a not-to-be-missed, floor-to-ceiling mosaic of Michael Jackson with his beloved Bubbles), expect pours of core brews, like the Black House Coffee Stout (brewed with a mix of beans from Ethiopia and Sumatra), alongside seasonal and special releases, like the City of the Sun IPA with a trio of hops and a heady 7.5% ABV. Riding a steep trajectory to beer-brewing greatness, Other Half in an industrial stretch of Brooklyn’s Carroll Gardens is no one-trick pony, brewing up a varied assortment of geek-worthy beers—from fresh, flower-laced IPAs to sharp, tongue-twisting sours to experimental barrel-aged brews. Check out Solemn Oath Brewery just outside Chicago; Fiddlehead Brewing in Vermont; Cellarmaker in San Francisco; Iowa’s Toppling Goliath Brewing Co.; New Jersey’s Carton Brewing and Strangeways in Richmond, Virginia.